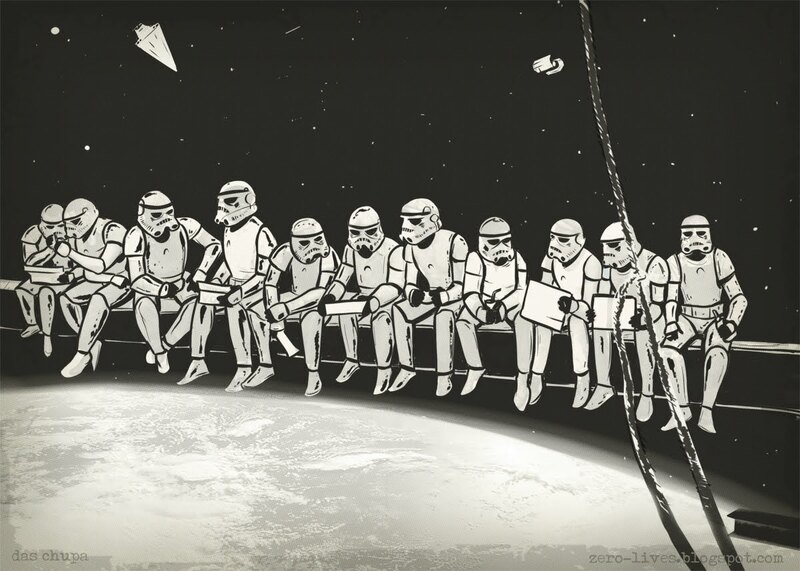 Zero Lives: Lunchtime atop a Death Star. 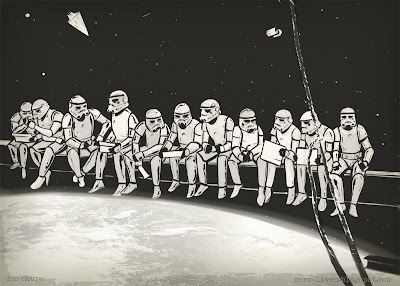 Lunchtime atop a Death Star. Caption: "How the frick are we supposed to eat?" If you encounter a Predator. A bad place to park a Tardis.